This is in the latest issue of The Big List. Fresh from recording by the sea, Lisa Hannigan graced the Empire to unveil what she’s been working on and display her collection of odd and amazing instruments. Hair tied back, pink dress sleeves rolled up and one hand working the harmonium, Lisa looked like the most beautiful washerwoman I’ve ever seen. Though softly spoken, she easily joked through technial mistakes and once saw fit to issue a stern warning-“Careful now with your big camera”-to a man edging too close to the hem of her dress. The band were on top form and throughly enjoyed the instruments on offer, including a ukelele, a glokenspeil played with a bow, a mini xylophone and what I think was a zither. Old favourites ‘Pistachio’ and ‘Ocean and a Rock’ found new vitality, while ‘I Don’t Know’ saw one fan joyfully dancing school disco style, including the classic just-jump-staight-up-and-down. By the time ‘Lille’ came around, the atmosphere was so perfect that even a sneeze by guitarist Gavin Glass couldn’t help but be in time. Just back from a brilliant performance of The Crucible at The Lyric. The new building looks great and I soon have to do a proper, full-on academic review for The Arthur Millar Journal at Rhode Island College. Think I’m a bit out of my depth but we’ll see. Going to see the brilliant Lisa Hannigan in the Empire tonight. They’ll be a review in the Big list soon. Just turned on my phone to find out that I’ve won the April Txtlit contest! For those who don’t know, Txtlit run a monthly contest, where you write a story in a text, pay £1 and can be in with a chance of winning £50. Been trying for a few months so its good to win. Here’s my entry on the theme of ‘The Fool.’ It’s unlike what I normally write, but that happens when you only have one text to write a story. We break out and fly out over the sea and nothing can hold me down. 22 today, gonna try and not think about that by listening to a great poem. 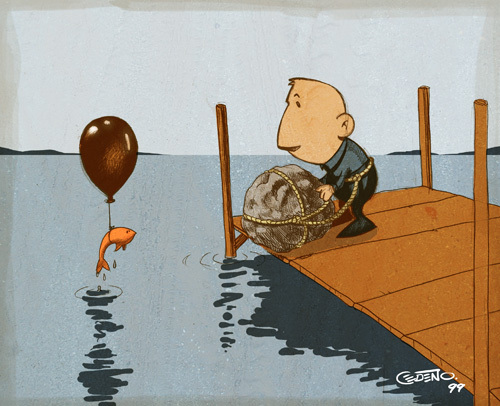 Make sure by the time the fisherman returns, you are gone. 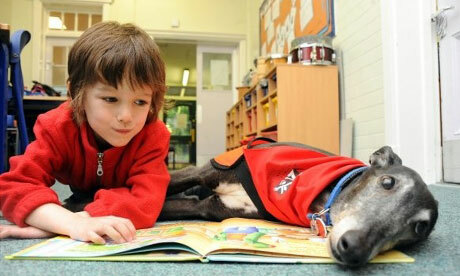 The dogs who listen to children reading. Great article from The Guardian.